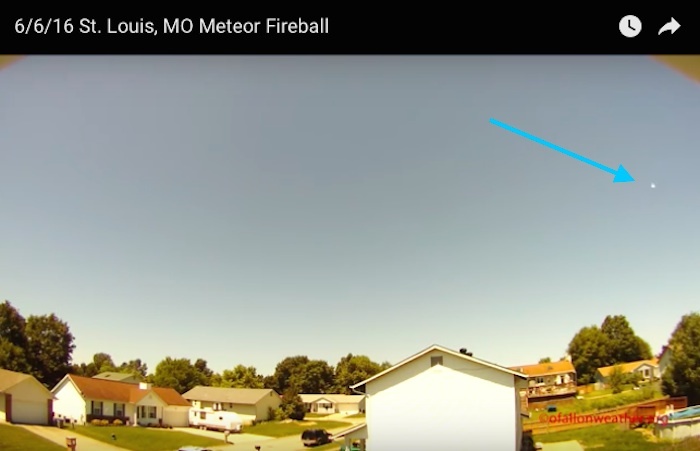 ST. LOUIS, MO (KTVI) – An out of this world sight dozens of people spotted in the sky over St. Louis earlier this week was in deed a meteor. NASA reports that it was a meteor that burned up along a 25 mile track, starting near Hannibal. It was about 30 miles above earth. The meteor was traveling about 49,000 miles per hour, so it didn’t take long to disappear. Nearly 300 people reported seeing it. 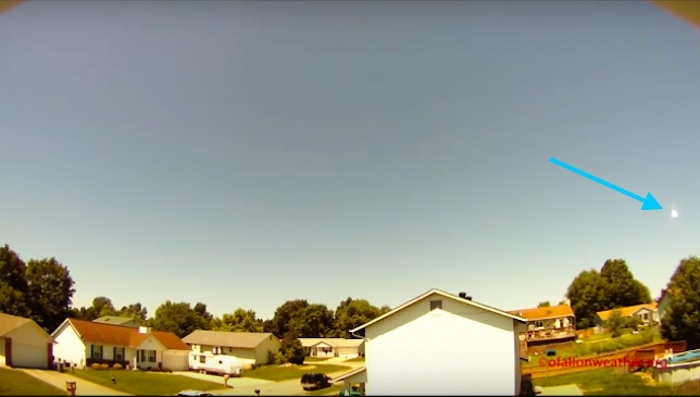 ST. LOUIS, MO (KTVI) – Several FOX 2 viewers have called in say they saw something fly over the area at around 11:40am. 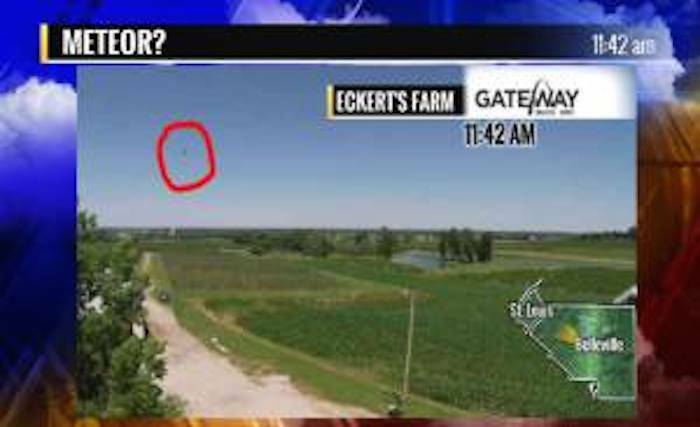 Meterologist Angela Hutti captured something on one of our cameras stationed at Eckert’s Farm in Belleville. Others report seeing the object across the viewing area. “I saw what I thought was a flair in Clayton about the time others were reporting the meteor. It looked to be right over Brentwood Blvd and Forest Park express way. wrote Denise Hayes Bolds. “I saw that flash of light today around 11:40am near page and Lindbergh. I wasn’t sure what it was.” Tashishia posted to FOX 2’s Facebook messages.